Xtreme High Output at an affordable price! White Daylight XHO lights are great at adding extra PAR and filling out the spectrum leading to faster coral growth. If you are looking to build your own custom fixture, or just need a single supplement light, Reef Brite's XHO series are ideal for all types of fish tanks, reef tanks, and sumps. You can use just one or multiple together, and with Reef Brite's LED Hanging Brackets you can mount up to 5 XHO LEDs together making your own custom fixture. 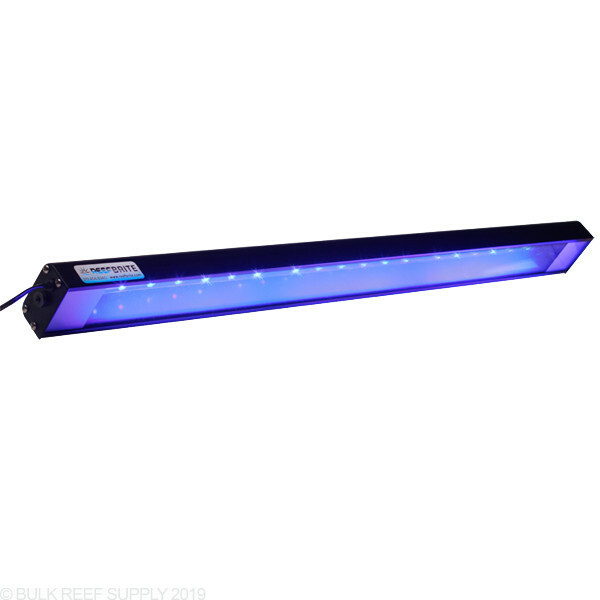 Reef Brite XHO LED Lights are widely used on reef tanks and produce a lot of light. They can be used as the main source of light, or as a supplement light to T5 and Metal Halide fixtures. These are especially nice with ATI T5 fixtures since no additional mounting hardware is needed and they mount up to the existing ATI fixture housing in seconds. XHO LED Strip lights are packed with 12 LEDs per foot producing high power light, where the Tech LEDs have approximately 6 LEDs per foot. We suggest using the Tech Lights for supplemental lighting to T5 or Metal Halide. 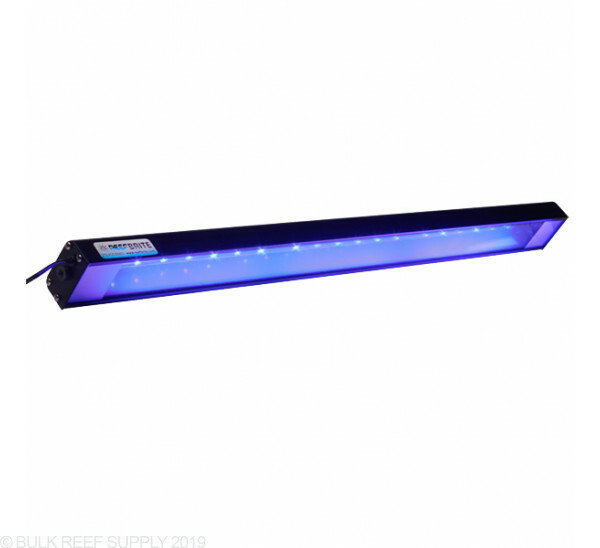 Blue Actinic - Specifically selected LEDs to enhance the fluorescence and pop. These are most commonly used to supplement T5 lights and metal halide lamps. Daylight White - Ideal to accent the Blue Actinic Lighting in reef aquariums for custom XHO fixtures, or as a stand alone light for freshwater aquariums. 50/50 - Great for bringing a bit more shimmer to T5 fixtures and highlighting colors in your corals with a proprietary, balanced mixture of LEDs. Each XHO LED Light comes with mounting brackets that can be attached to most T5 fixtures that have screw on end plates. They can also be mounted with Reef Brite's LED Mounting Legs, or hanging brackets (each sold separately). Note: Mounting legs are included in the fixtures total length.